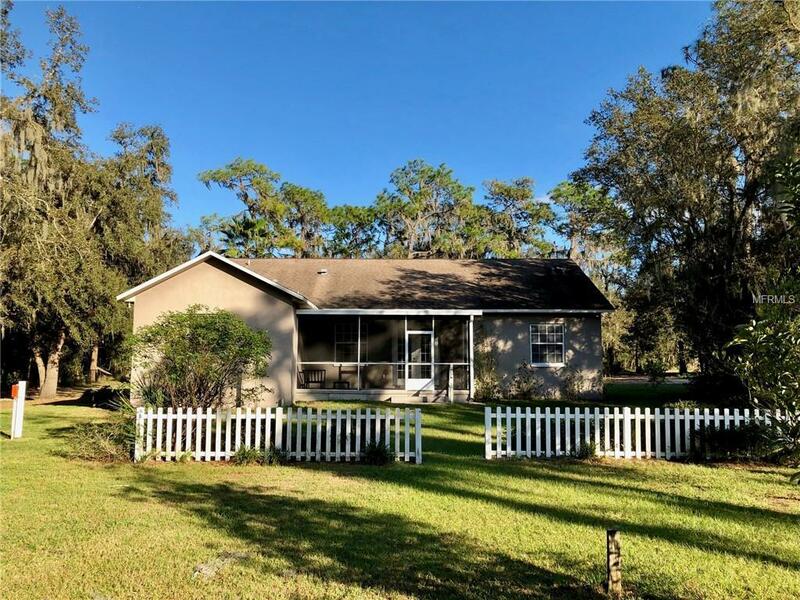 Tucked back in Lithia, you will find this super spacious home with 1799 sf of living space, set back on a beautiful 1 acre lot that is covered in large oak trees and fruit bearing trees. Plenty of room for your RV and Boat. Enjoy the feel of a country atmosphere while having access to lots of dining and shopping just 10 minutes away. 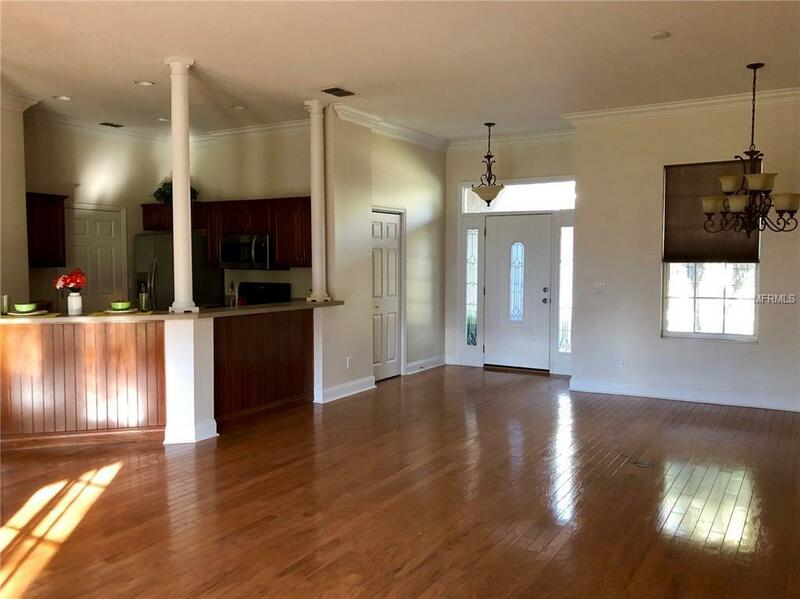 From the moment you walk in the door, you will fall in love with the large open living area and gorgeous wood flooring. The crown molding in the living and kitchen areas adds that extra dazzle to the 10 ceilings! The kitchen is wrapped in rich chestnut raised panel cabinets, crme corian countertops, large breakfast bar, stainless appliances and can lighting. Split floor plan gives a bit of privacy to the master bedroom. Large master bath has a jet garden tub, a walk in tile covered shower, custom cabinetry, his/hers walk in closets and a linen pantry. Walk through the french doors to a large screened porch overlooking the back yard. 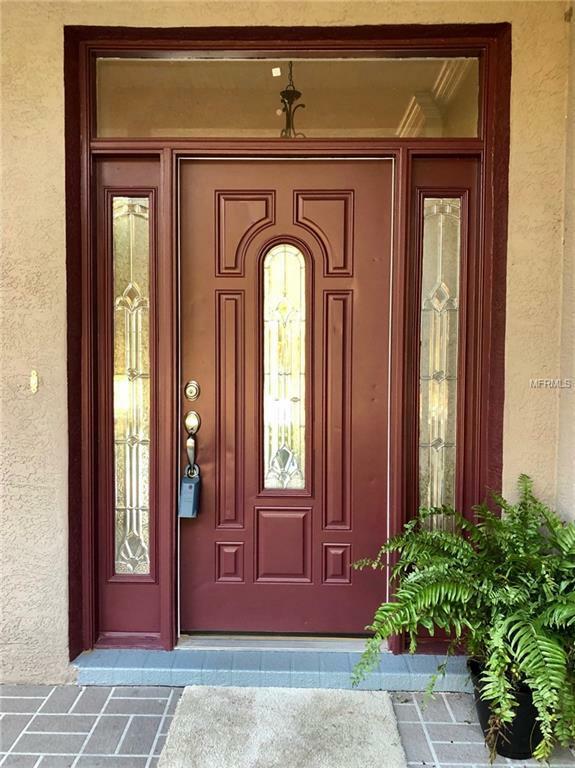 Some of the additional features include: new paint, ceiling fans throughout, 6-panel doors. 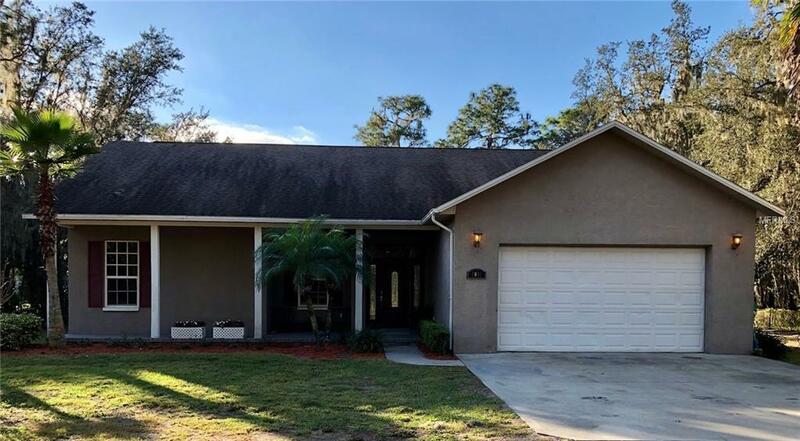 6 baseboards, double garage, door opener, pull down attic access, overhead AC handler, mature landscaping, fresh mulch, rain gutters and accent window shutters. Call today to make an appointment to view! Listing provided courtesy of Century 21 Elite Locations, Inc.